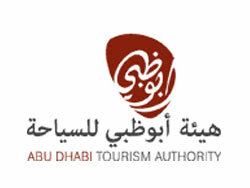 The Abu Dhabi Tourism Authority (ADTA) will increase its promotion of Abu Dhabi as an international destination in 2010. ADTA will showcase Abu Dhabi at destination pavilions at 20 overseas fairs next year including the emerging markets of Malaysia, Spain, and India. This is three more fairs than ADTA participated in last year. The authority is discounting participation fees for emerging markets by between 11% and 50%. ADTA International Promotions Manager said Trade and Consumer shows are important tools for generating business, but “They are particularly important forums for emerging destinations such as ours which are building awareness and forging new partnerships.” Mubarak Al Nuami said India is proving to be a significant market for Abu Dhabi, with 44,991 of its nationals staying in hotels in the emirate for the first nine months of the year. However, Al Nuami said that research shows there is relatively little awareness in India of Abu Dhabi as a tourism destination, especially among the rapidly increasing upper-middle class.